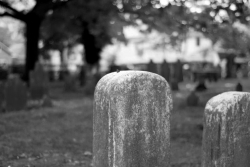 Bureaux entitled Unearthing the ‘true cost’ of Funerals. It focuses on one interesting finding from that report, namely the alarming shift in the reasons that a National Assistance Funeral (NAF) was required in the Stirling local authority area. In its analysis it was noted that, from 2010 onwards, the percentage of NAFs in Stirling provided due to relatives being unable to pay had more than quadrupled since 2010, raising from 12 to 59%.